1942- A world at war! Under direct orders from President Roosevelt the mightiest heroes of Earth-Two have banded together to battle the Axis menace as the ALL-STAR SQUADRON! I regret to inform you that I am shutting down the Perisphere. I thought long and hard on this, but some other things have popped up (including taking on more of a role over at the Superman Database and a more general comic book blog) in addition to getting back to more personal writing. Something had to go and it was either this blog or I clone myself to keep up with everything. So to everyone that enjoyed the blog, thanks for checking me out. If you are interested in checking out my blog just go over to the Fortress of Baileytude. Until I can get back to this, keep em' flying. For a host of reasons, most of them personal but also the fact that I am not as caught up on the reading as I should be, I'm taking two weeks off from posting here. Things in my personal life are not horrific, but there is a lot going on that I may relate here at some point. I apologize if anyone is disappointed, but these things tend to happen to me from time to time. I hope to take the two weeks and come up with some new material for the site that will make up for the time off. I don't know if I am coming down with a cold or if my allergies are kicking in but I feel like crap right now. I almost "called in" for this week, but after seeing another comment I decided to keep to my schedule. If people are starting to check out this site/blog I want to keep it going along smoothly. Still, feel like crap right now. 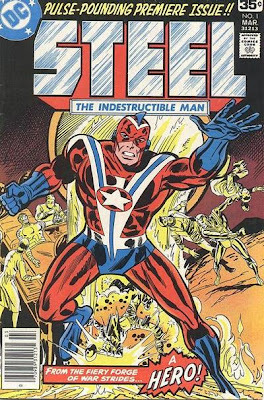 So this week I cover issue eight, which introduced one of my favorites members of the All-Star Squadron; Steel the Indestructible Man, soon to be called Commander Steel. I've read the first four issues of Steel's original series (for some reason issue five eluded me until recently) and it was one of the best books DC put out in the late eighties. Hopefully DC will reprint that series at some point. In addition to that I have the usual Golden-Age Books for this week list. Light week, but issue four of Justice Society of America came out and it was really freaking good. I mean if that was the only book that DC put out this week that I buy I still would have been happy. Another week, another batch of comic books from DC Comics. Disclaimer: These are the books DC has posted on their site as coming out on March 21, 2007. There is a slight chance that these books might not be at your local comic shop because, let's face it, DC has not been batting a thousand lately with getting their books out on time. This is not meant as a slam against DC, it's just how things have been for the past year or so. I also claim no responsibility if your local comic shop sells out of the book if you wanted to buy it. Hold/Reserve boxes are your friend. Another light week Golden-Age wise, though if you haven't read Justice Society of America #4 yet I suggest you do do right now. It's ok. I'll wait. Wasn't that so freaking awesome? I was very amused that DC used the Variant Cover for the solicitation and on their site. I understand why. It would have ruined the surprise from the end of issue three. Still, this series is bar none the best DC is publishing right now, and that is a die-hard Superman fan saying that. To see the non-variant cover to Justice Society of America #4 click HERE. I do warn you, if you are waiting for the trade it will spoil something major. A Nazi agent called the Black Assassin attacks Winston Churchill while the Prime Minister gives a speech at the Halls of the Canadian Parliament in Ottawa. Liberty Belle and Shining Knight leap to Churchill’s defense but the Assassin manages to slip free and get a clear shot at his target. Suddenly the hero known as Steel comes out of nowhere and makes quick work of the Assassin. In a final attempt to kill the Prime Minister the Nazi activates a bomb belt but Steel takes the full brunt of the explosion. Despite his wounds Steel manages to give Churchill a book before the Shining Knight takes him away to get medical attention. After finishing his speech Churchill visits Steel in a nearby hospital where Belle is trying to find some information about Steel from her fellow All-Stars. During that conversation Belle is informed that the President wants Steel brought back to Washington as soon as possible. Soon afterward a special train rockets from Canada bound for the United States. During the journey Churchill explains that the book Steel had given him was a journal that reveals that Steel is actually Hank Heywood who joined the Marines after the German attack on Poland. In November of 1939 Heywood was returning to camp when he spotted some saboteurs trying to blow up the ammo dump. An accident caused the explosives to go off and Heywood was gravely injured. Only the brilliant researcher Dr. Gilbert Giles and his experimental medical procedures saved Heywood. In fact the process enhanced Heywood, making him stronger and faster than a normal man. On a visit in London Steel stopped the Black Assassin from his first attempt to kill then First Lord of the Admiralty Winston Churchill. Steel agrees to go on a mission for Churchill to kidnap Adolph Hitler. Heywood’s journal goes blank after describing an aerial battle that ended with Steel getting shot down over Germany. Elsewhere Baron Blitzkrieg and Zwerg listen in on the story as well. Blitzkrieg is pleased with how things have gone thus far and feels that his back-up plan cannot fail. Back on the train the assassin known as Kung lands and uses his ability to transform into animal form to become a tiger. He is surprised by Hawkgirl who attacks the Japanese agent. Kung manages to overcome her and it is only the timely arrival of Johnny Quick that saves her life. Robotman takes on Kung next, but the assassin manages to slip past him and get to his intended target; Winston Churchill. Kung stalks the Prime Minister but Steel comes around just in time to once again save Churchill’s life. Kung escapes but the All-Stars and Churchill are relieved that the man known as Steel has revived. Meanwhile Baron Blitzkrieg is incensed at Kung’s intrusion but is still satisfied that his plan is still on track, especially with his special agent. A special agent named Steel! -The Black Assassin was a once and done villain and is never seen again. -The speech Churchill gives before the Canadian Parliament after the assassination attempt did happen. The reason that the Parliament looks so much like the US Congress is that reference material could not be found at the time. -Canadian Prime Minister William Lyons MacKenzie King is referred to in a caption on page seven but never shown in the comic itself. -Steel, the Indestructible Man first appeared in the aptly named Steel, The Indestructible Man #1 (March 1978). This series came out as part of what has become known as the DC Explosion, where DC Comics released a large number of titles and back-up features all at once. Gerry Conway wrote the series with art by the underrated Don Heck and much like Conway’s Firestorm the Indestructible Man read like a Marvel book set in the DC Universe. It was a fantastic series and had the usual romantic conundrum and crazy villains. Steel, The Indestructible Man was cancelled after issue five during the DC Implosion. 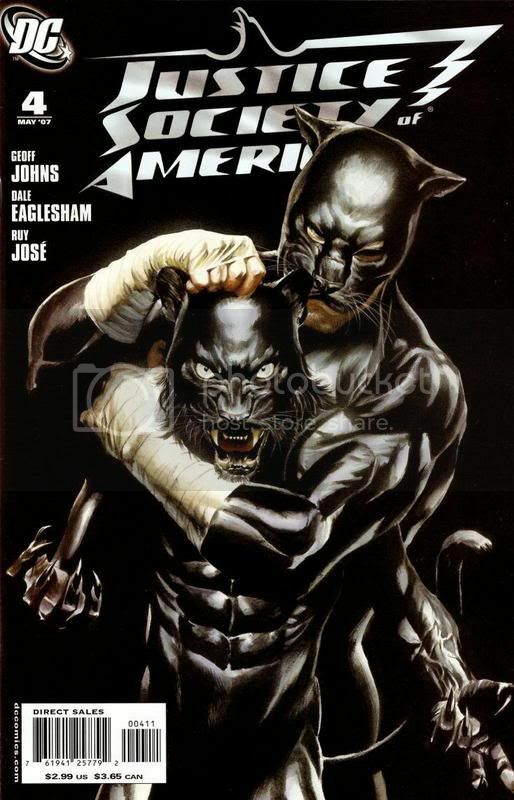 Issue six appeared as part of the privately circulated Cancelled Comics Cavalcade. -Pages nine (possibly eight) through seventeen of this issue were originally intended to be part of that sixth issue. 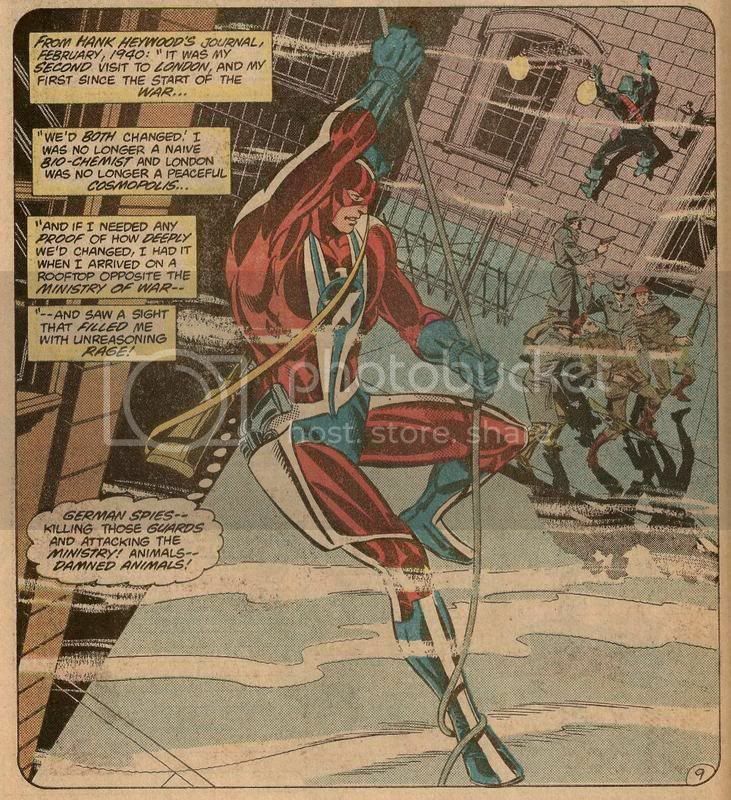 Roy decided to incorporate much of Don Heck’s penciled art and Gerry Conway’s script into the narrative. On page nine we’re given narrative captions that are “excerpts” from Steel’s journal, which was a staple of the original Steel series. -The journal reveals that Steel was in London in his Hank Heywood identity as an aide to Major Morton. He was rather happy to be there too since he had been engaged to Dr. Giles’ daughter Gloria and was forced to end that engagement at the insistence of Giles when he found that Heywood was also the man called Steel. 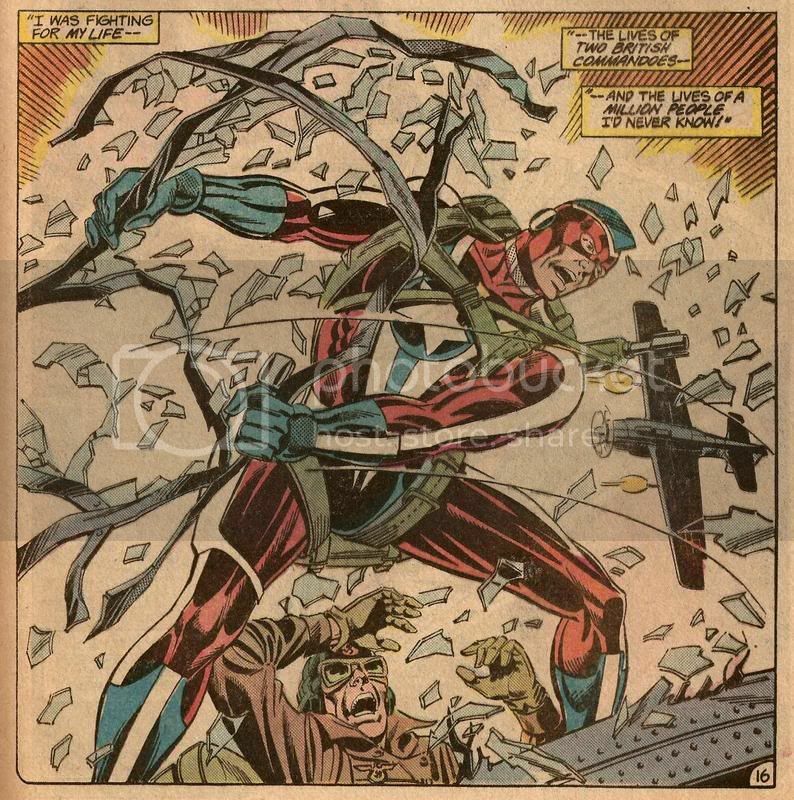 -Steel was added to the series because Roy Thomas and editor Len Wein felt that a “Captain America” type character was needed for the World War II setting. -In addition to creating Firestorm and Steel Gerry Conway also created the Punisher and has done a lot of work for the Law and Order series, particularly Law and Order: Criminal Intent where he served as co-executive producer. - Kung first appeared in Wonder Woman #237 (November 1978) during a storyline that took place in 1943. This issue backdated Kung to 1941. Oh my God. I really don’t know what to say about this cover. Wow. 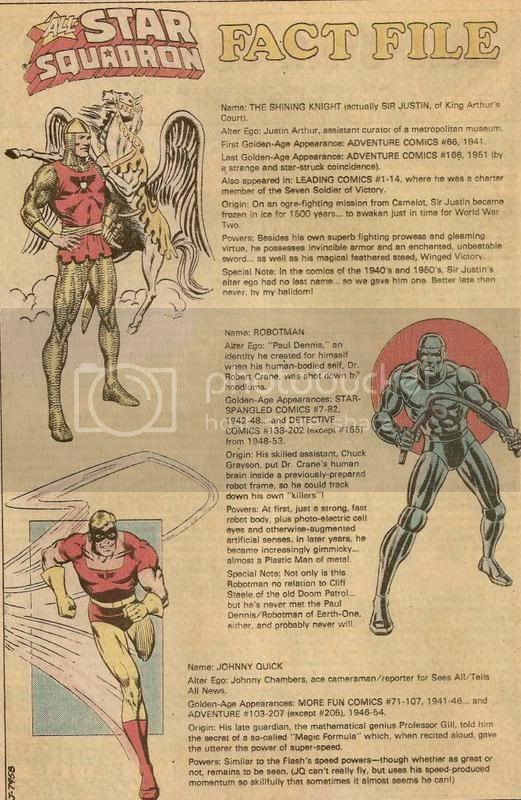 -A Fact File page featuring Shining Knight, Robotman and Johnny Quick appeared before this issues installment of All-Star Comments. SPECIAL SQUADRON NOTE: Few DC heroes have been as much requested for “membership” in the purposefully amorphous All-Star Squadron by the letter-writing hordes as has the man called Steel, whose magazine had its own five-issue run a few years back, under the aegis of creators Gerry Conway and Don Heck. In fact, a sixth issues was completed when STEEL, THE INDESTRUCTIBLE MAN was cancelled as part of a temporary DC cutback at the time…and in many ways, it was one of the best and most important of the series. Thus Len and Roy decided to take the majority of the pages of that sixth issue---previously unprinted except in Xerox format for a very limited audience—and have it partly rewritten and totally relettered and re-inked to fit into issues 8 and 9 of ALL-STAR SQUADRON. Especially after you’ve read the conclusion of Hank Heywood’s war-diary next month, we think you’ll see why we did it. Let us know how you feel about Steel as an All-Star, okay—not that we ever doubted you would! -After that came three letters regarding issue four. Mark Walden of Northridge, California wrote that the series was getting better and better and that Buckler and Ordway’s art made him feel like he was re-living the Golden-Age. He then requested that Aquaman, Green Arrow, Speedy and Captain Marvel make appearances in the book. Roy replied that since it had been established that Captain Marvel had been active in the World War Two of Earth-S he would fit right in. John K. Austin of Cheney, Washington was impressed with the level of characterization put into the characters with the possible exception of Superman, who John felt should have been cockier. His final comment was to not cancel the book. Roy informed him that there was almost no chance of that happening since the book has proven to be one of DC’s top-selling titles. Finally, Wally Podrazik, c/o McGraw-Hill Paperbacks in New York, New York wrote in to comment on how television was presented in the title and to either directly or indirectly plug a book he had written. He wrote that while TV did exist in 1941 the programming “beast” was different than that of 1981. Coast-to-coast hook-ups were still a decade away and experimental programming was spotty at best ranging from stock film filler to cooking tips. Despite this Podrazik felt that on Earth-Two it was quite possible for Libby Lawrence to have a television news show but added that it was probably a simul-cast of her radio program. He also mentioned that broadcasting hours were cut back tremendously during 1942 and 1943. Podrazik’s final thought was to recommend that Roy play with TV in Nazi Germany where sets were quite common in public places like hospitals and carried propaganda broadcasts through 1943 in Berlin and 1944 in Paris. Roy thanked Podrazik for the ideas and the verification that Libby’s TV broadcast was possible. 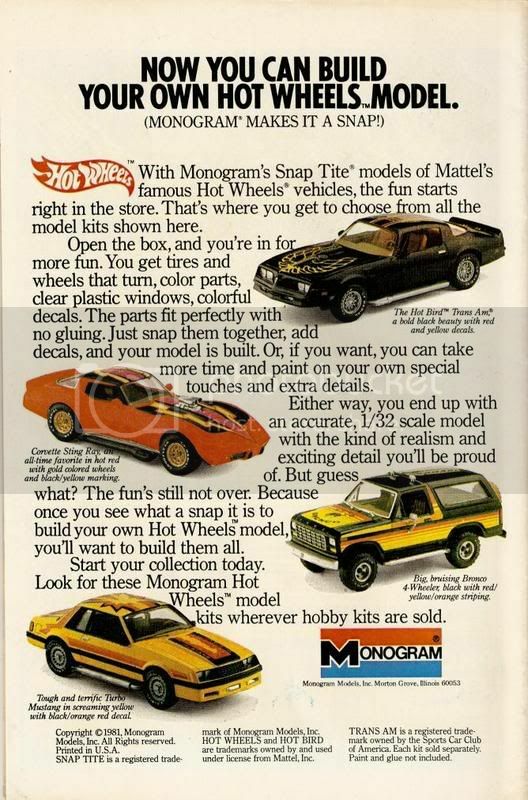 -The back cover of this month’s issue contained an advert for Monogram’s Snap Tate (trademarked) models of Mattel’s famous Hot Wheels vehicles. I think most kids were issued one of those Hot Wheels Trans-Ams when they came out so I can see where a model of it would do quite well. Update 03-14-07: So, Thursday Good For Everyone? Seems good to me. Weekends are becoming busier and busier for me, so getting the Index done works a lot better during the early part of the week. I've also taken on the task of reading reviews for the Superman Database's podcast on a weekly basis, so there's that too. I didn't get the new dossiers done like I wanted, but I tried to make it up by having more graphics in the entry for issue #7 because I figure y'all would be too distracted by the pretty pictures to notice the lack of substance. I have no shame. I really don't. I did get to update the Atom dossier, so check that out if you wish too. 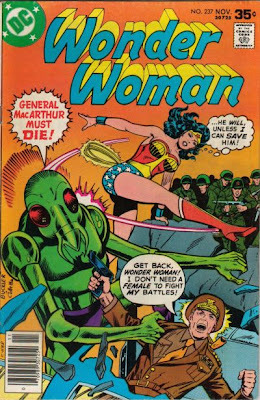 So between that, the entry for issue #7 and this week's list of Golden Age related books with my supposedly humorous commentary you should have a good ten, maybe fifteen minutes of content to go through. See you next Thursday. Supposedly. Yes, it's that time of the week again. The new comics are out. Here are the ones I think are important. Another week, another batch of comic books from DC Comics.Disclaimer: These are the books DC has posted on their site as coming out on March 14 2007. There is a slight chance that these books might not be at your local comic shop because, let's face it, DC has not been batting a thousand lately with getting their books out on time. This is not meant as a slam against DC, it's just how things have been for the past year or so. Kind of a light week actually. I mean it's kind of pricey if you buy all the trades but still, light week all around. So what's on the schedule this week? Did Crisis on Multiple Earths: The Team-Ups Vol. 2 come out? I didn't see it in my box nor at Titan Games and Comics. If it came out I need to get it. Superman #660 came out to as DC gets that line caught up. If you are inclined to listen to such things I will be reviewing this book for the Superman Database podcast, which should come out on Sunday. Download and listen to my "dulcit" tones as I talk up this latest issue of Superman. How's that for a plug? I mean I'm reviewing JLA Classified #36 for the Superman Homepage (which should be up on Monday) as well, just in case you were interested. Wonder Woman #5 comes out. This is so freaking weird. I mean really freaking weird. This issues doesn't wrap up the storyline that has been running through the past four issues, but is, in fact, a fill in before the whole Amazon Attacks stuff starts to come down the pike. The only time I've ever seen a storyline not get resolved like this was New Universe's Nightmask. Let's hope it doesn't take twenty years for that story to finish, though with the Dodsons you never can tell. And I will throw down my bulls#$% card for the week and say while it wasn't all that bad I don't think that Superman/Batman Annual #1 is one of the greatest Superman/Batman stories ever told. So, DC plays catch up and releases a bunch of trades. Weird week. Here is an extremely important notice. All characters featured on this site are not mine. I don’t own them. DC Comics, and by extension, Warner Brothers, does. This site is meant as a loving monument to the All-Star Squadron and the Young All-Stars and I am not now nor will I ever make any money off of the work posted here. This is purely a fan site. All artwork is likewise owned by DC Comics and used here only for reference purposes and for the sake of posterity. All original essays, articles and editorials are written by me and if you would like to reprint them elsewhere on the web or reference them in any way I would appreciate a credit of some kind. Other than that I’m good and I hope DC Comics and Roy Thomas are as well. This site is respectively dedicated to Roy Thomas, the man without whom there would be no All-Star Squadron and thus no site to celebrate it. Roy Thomas did more for the Earth-2 DC heroes than any other writer and I hope I do right by his work. 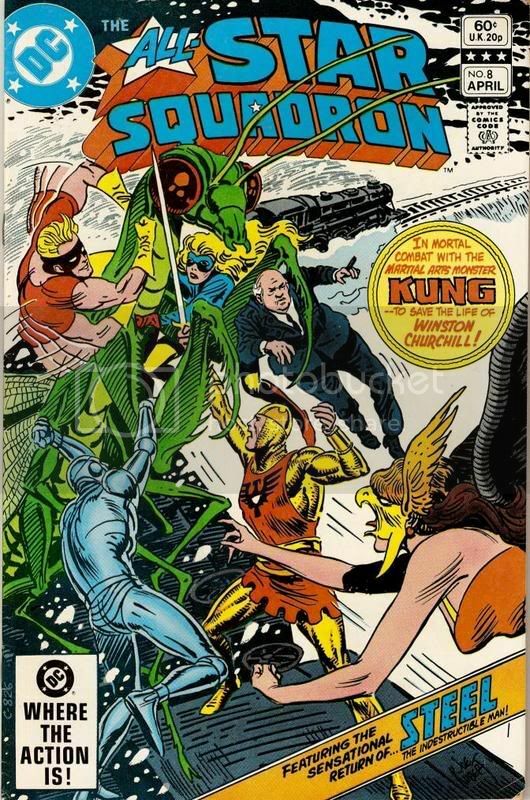 Acknowledgments also go out to Len Wein, the title’s original editor, Rich Buckler, the original penciller and finally to Jerry Ordway, the group’s first embellisher and, to me, the artist when it comes to Earth-2 and DC's Golden-Age characters. They laid the ground work for the team and deserve nothing but praise for their contributions. All questions, concerns, fears, trepidations, feed back, corrections and cheap shots can be sent to supermanearth2@bellsouth.net. Married. Comic book reader and collector. Podcaster. Proud owner of three poodles.